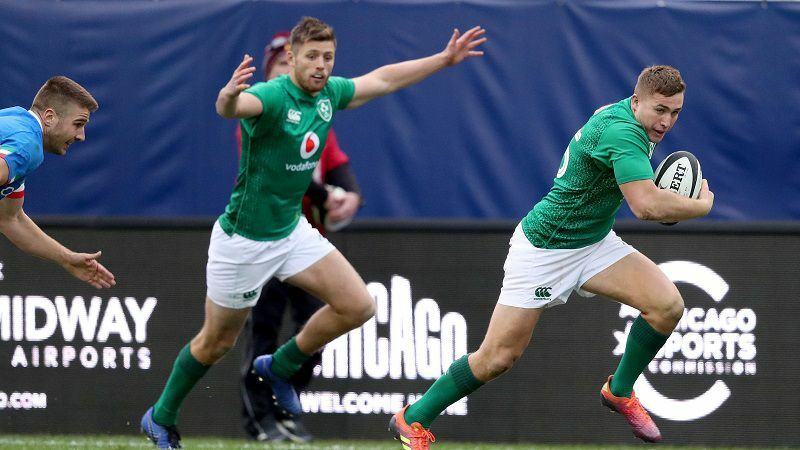 Jordan Larmour scored a hat-trick as Ireland thrashed Italy 54-7 in Chicago on Saturday. 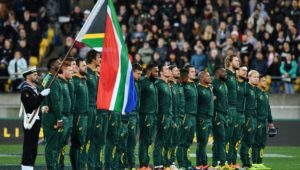 Both coaches fielded experimental sides and after a tight first half, it was Ireland who put on a show as they scored six tries in a second-half romp. World Rugby Breakthrough Player of the Year nominee Larmour enjoyed a fine outing in his first Test start, scoring three times in the second half. The first half was a scrappy affair, with Tadhg Beirne grabbing his first of two tries to help Ireland go 14-0 up, before Italy’s Michele Campagnaro scored an intercept just before half-time. 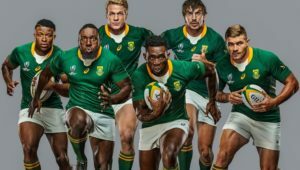 However, Beirne went over for his second just after the interval to extend Ireland’s lead and the Six Nations champions never looked back as Sean Cronin scored from the back of a maul and Gary Ringrose finished off a fine break from centre Bundee Aki. Ireland – Tries: Jack McGrath, Jordan Larmour (3), Tadhg Beirne (2), Sean Cronin, Gary Ringrose. Conversions: Joey Carbury (5), Ross Byrne (2). Italy – Tries: Michele Campagnaro. Conversion: Carlo Canna. Subs: 16 Sean Cronin, 17 Dave Kilcoyne, 18 Finlay Bealham, 19 Devin Toner, 20 Jordi Murphy, 21 John Cooney, 22 Ross Byrne, 23 Will Addison. Subs: 16 Oliviero Fabiani, 17 Cherif Traore, 18 Giosue Zilocchi, 19 Marco Lazzaroni, 20 Federico Ruzza, 21 Jimmy Tuivatti, 22 Guglielmo Palazzani, 23 Ian McKinley.